It is perfectly natural to feel some stress when you are caring for a senior whose physical or mental health is in a state of decline. Worry over your loved one, the anxiety that comes with managing new tasks, and the everyday challenges that you face can all become sources of stress. However, sometimes caregivers fall prey to a different level of stress, one that is not natural or healthy. How can you know if your stress level is approaching this level? And what can you do to handle your stress effectively as a caregiver? If these symptoms are not addressed promptly or appropriately, you may fall victim to a more severe condition known as caregiver burnout. With this condition, the symptoms mentioned above become even more pronounced, and your ability to function and provide adequate care for your loved one or even for yourself is compromised. Considering the serious effects of caregiver stress and caregiver burnout, it makes sense to seek help as soon as you recognize any of the symptoms mentioned above. 1) Cultivate a smidgen of selfishness: As the primary caregiver for a loved one, you are likely accustomed to putting your needs on the back burner. This, however, is not always a sustainable strategy. Your needs are just as important as the needs of the one for whom you are caring, and you cannot deny that and still remain physically and emotionally healthy. Practice a mindful approach to self-care. Pay attention to your body and your spirit. Take time each day to re-connect with the inner you, even if it is only for a few minutes. 2) Assert your independence: Caring for a loved one can narrow your world view down to just the small space of your senior's orbit. Resist the inclination to limit your focus to the failing health of your loved one. Assert your independence by remembering who and what you are, apart from your role as caregiver. 3) Breathe: Something as simple as breathing can help you reduce stress. Just as deep breathing can help women endure the pain of childbirth, so too, can deep breathing help you relax. Take a few minutes each day to sit somewhere quiet and simply breathe deeply in and out for several minutes. 4) Tap home health care for help: One of the best ways to relieve caregiver stress is to find outside help to take some of the load off your shoulders. The truth is that, even though you are indispensable to your loved one, there are other people who can take some of the routine tasks off your plate, giving you time to handle more important matters. 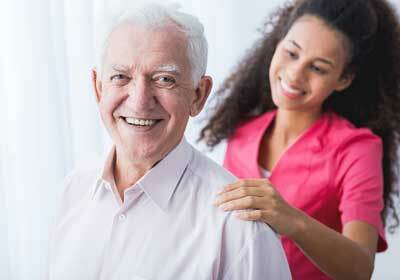 Home health care is an excellent way to get help for your senior and relieve your own stress levels in the process. Home health care workers will help your loved one with activities of daily living, such as bathing, grooming, toileting, eating, and so on. Home health care workers provide respite care so that you can have some time away from a stressful situation. Sometimes respite care for even a few hours can revitalize your spirit to handle your responsibilities. An added advantage of home health care workers is that your loved one benefits from interaction with someone new as well. This can lower your loved one's stress levels also, making the situation better for everyone concerned. 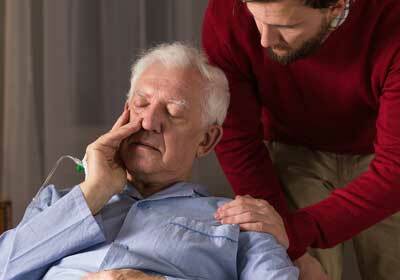 Providing good care for your senior need not send you into debilitating stress. Remaining in touch with your own feelings, taking time to care for yourself, and using available home health care resources can help you to provide your loved one with excellent care, while still maintaining a balanced lifestyle for yourself. Contact us today to request help for your loved one, and take control of the stresses in your life. First Choice In-Home Care was created in 1999 to help families within the community find reliable and trustworthy caregivers to provide personal care services to families and individuals in need. Today, First Choice In-Home Care provides services to over 1,800 clients annually throughout King, Pierce and Snohomish counties and provides over 1.2 million service hours to our population of adults and children in need.